Who doesn’t love a holiday that’s all about celebrating loved ones in the sweetest way?! 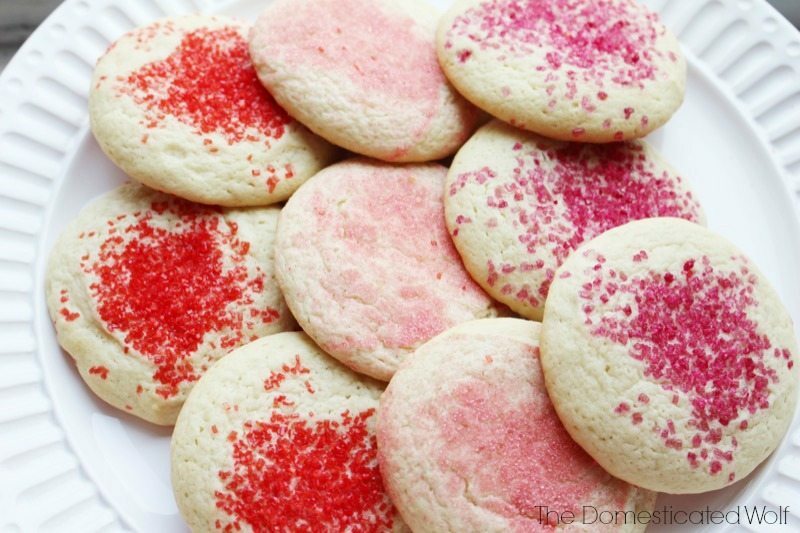 Valentine’s day is a great excuse to make these sweetly delicious pink and red valentine’s day sugar cookies. These are easy to make, and the dough can be made ahead of time. These would also be fun to cut out using heart cookie cutters. Just flour your counter and roll out the dough. Cut out shapes with cutters and follow the rest of the directions above. These cookies are crunchy and soft – a perfect combination! To make your own colored sugar, is super easy. 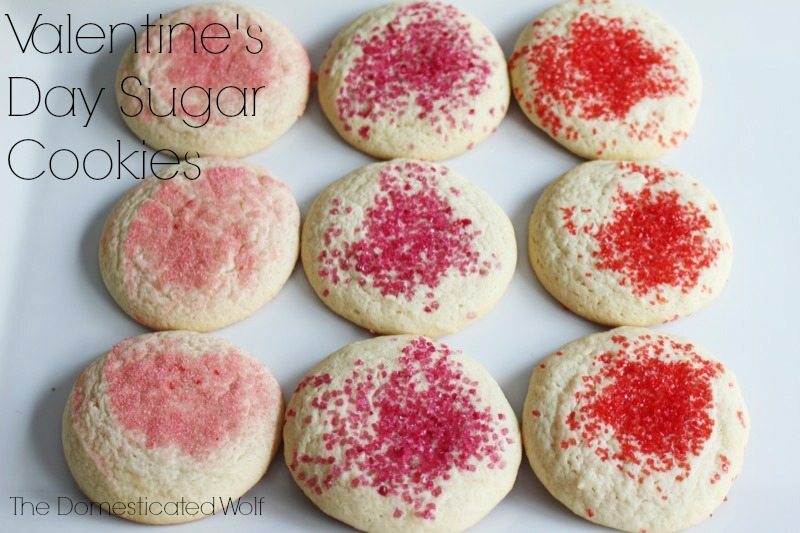 Just use regular granulated sugar and a drop of red food coloring. I used both my homemade and also store-bought red and magenta sanding sugar. I prefer the crunch of the sanding sugar, but in a pinch, the granulated sugar works just fine. Have you ever dyed your own sugar? 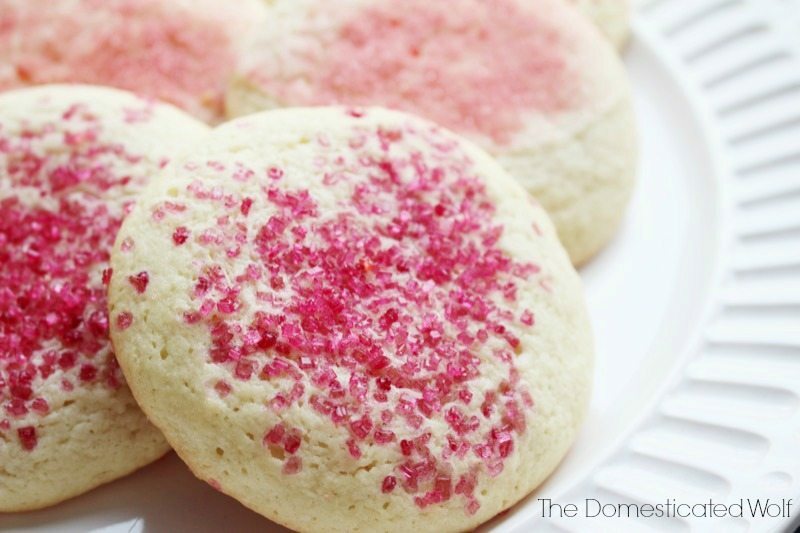 What’s your favorite way to make sugar cookies? I’d love to hear from you!